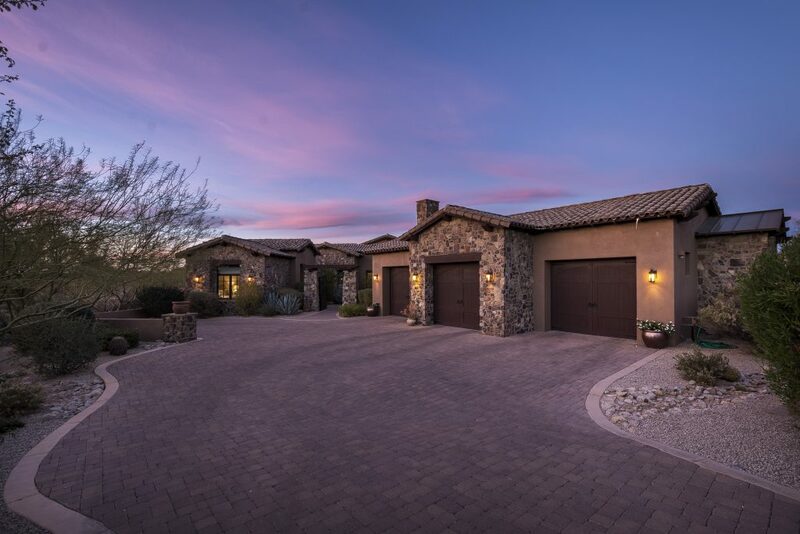 Whisper Rock Real Estate – Whisper Rock is a beautiful gated community in the heart of the Sonoran Desert in North Scottsdale. Sales in the community have been relatively slow during the second quarter with only two homes closed during the period, which is one less than the first quarter. There were also three lots that closed during the quarter. In our reports we rely on the statistics provided by our MLS system, however because of the way these statistics are compiled, they often do not tell the true story of the market, especially when there are few sales. 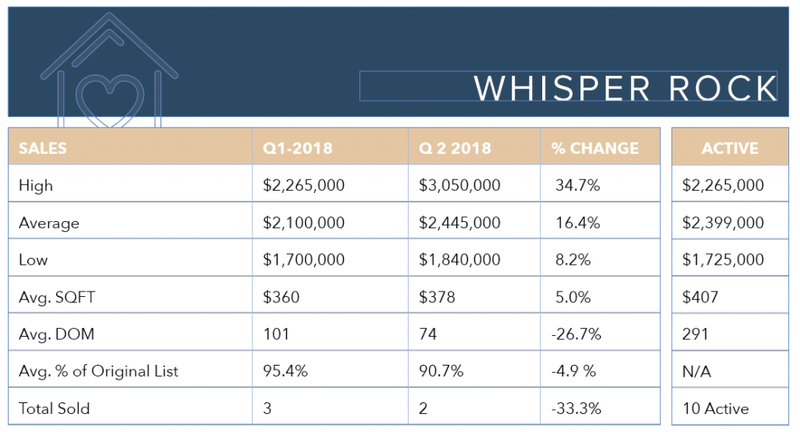 We felt it was important to dig into these numbers a bit more to shed some light on what really happened in Whisper Rock during the second quarter of 2018. 8613 E Artisan Pass sits on nearly 3 acres and at 8700 square feet and was re-listed just days before it went under contract for $3,050,000. This is a great price for Whisper Rock, however, since this property was a re-listing but had been off the market for 90 days it shows up as a new listing according to MLS rules. This makes the days on market and discount from original list price somewhat deceptive. The home was originally listed in October of 2014 for $3,925,000. It was rented for a period of time. The actual number of days it took to sell the home was 1,349. Since there were only two sales during Q2, the days on market for the neighborhood are deceptive in showing what is truly happened. Many agents report the percent of list price sold based on the last price listed, not the original list price. In the case of this home, looking at the price it actually sold for, one could be led to believe that it sold for 92 percent of its list price. When you compare the sold price with the original list price when the agents first brought the home to the market, you see that it really sold for 22.3 percent less than when it was originally listed. You can view listing history of this property here. There are currently ten houses listed in Whisper Rock ranging from $1,725,000 to $3,445,000, with two homes currently under contract. To see all of the homes and lots listed for sale in Whisper Rock, please visit our Whisper Rock Listing Page.